Maingear and HP have collaborated to create a gaming desktop, the OMEN X, that can play “Metal Gear Solid V: The Phantom Pain” in maximum settings and 75 fps (frames per second). 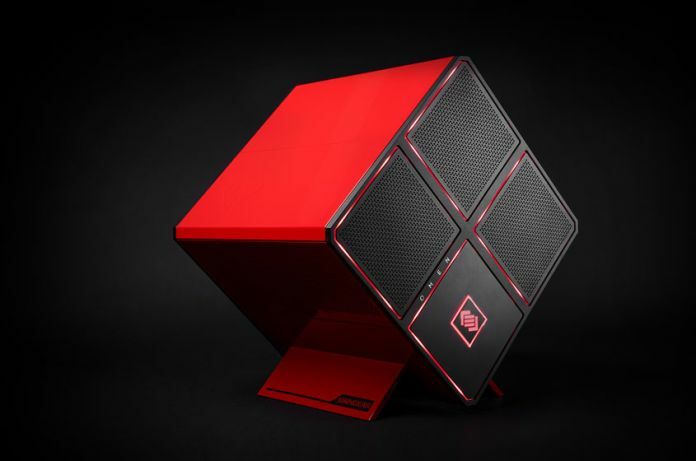 The Omen X desktop is one of the boldest PC designs of the year, taking what could have been a cool but not exactly groundbreaking cube shape and stand it on one edge for a sharp, angular look. The HP OMEN X is a good example of how far a consumer computer manufacturer will go to try and cater to a hard to please niche like PC gamers. Inside of HP’s $2,049.99 OMEN X desktop, you will find a 6th Generation Intel Core i7-6700K Processor, 16GB DDR4 RAM, and a NVIDIA GTX 1070 Founder’s Edition graphics card. A 2TB traditional hard drive with 256GB SSD, Bluetooth 4.0, 802.11ac WiFi and a 600 W AC power adapter. 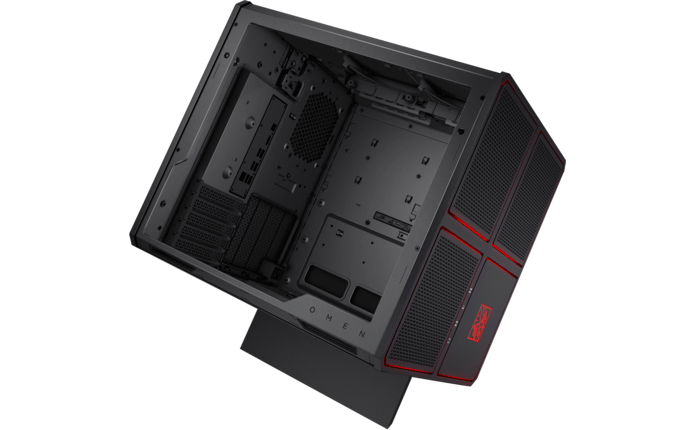 Inside the HP OMEN X, there’s plenty of place for 2 graphics cards and even liquid cooling in the main compartment, and that’s because this cube is cut into separate quadrants. The power supply is tucked away in its own zone, and all the hard drives are in a separate zone — makes cooling and cable management much easier. There is four swappable storage bays and can be easily accessed from the outside, each with a fabric loop to pull the drive cage out by. Most of the ports and connections are on the rear panel, but a handful, including the six USB 3.0 and USB-C ones, are on the side, and also easy to access because they’re pointing up towards you at a 45-degree angle. The OMEN X measures 16.54 x 6.5 x 15.79in and weighs 23.2 lb.